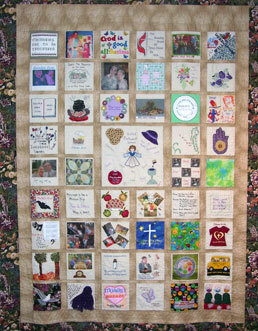 Celebration quilts are made for special occasions such as a wedding, new baby, or memory quilt. Sometimes a group of people get together and each make a piece. I then assemble and quilt the pieces together, putting the finishing touches on the quilt.